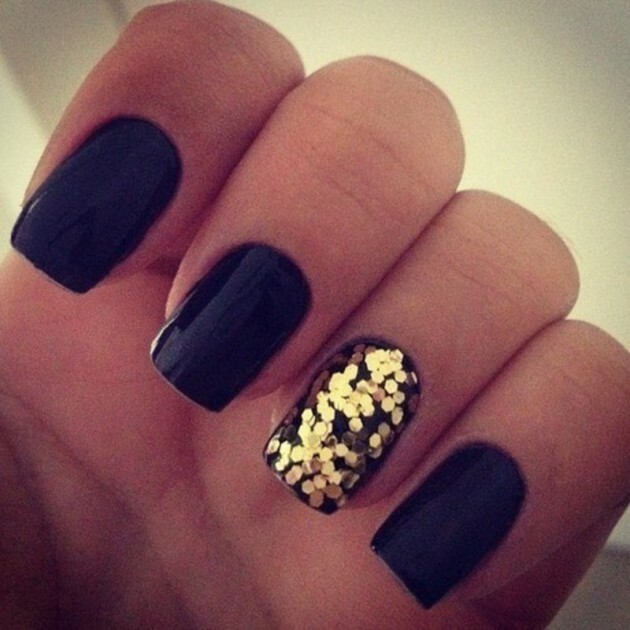 Hey there nail art lovers! 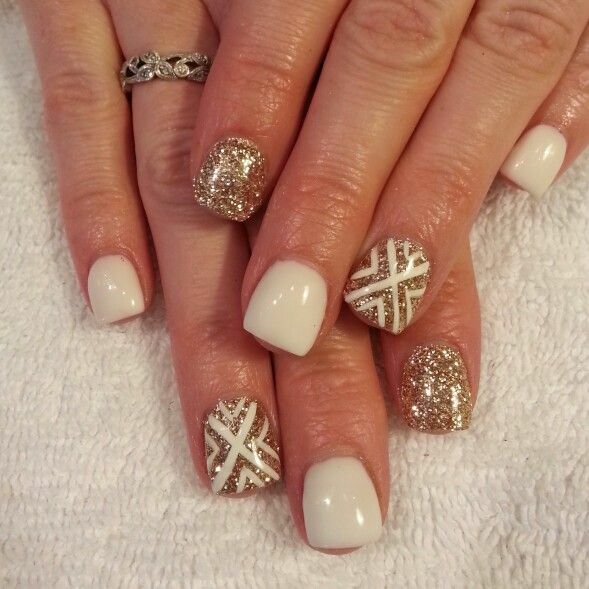 Have you been impatiently waiting for our newest post with nail arts? Well, here they are. 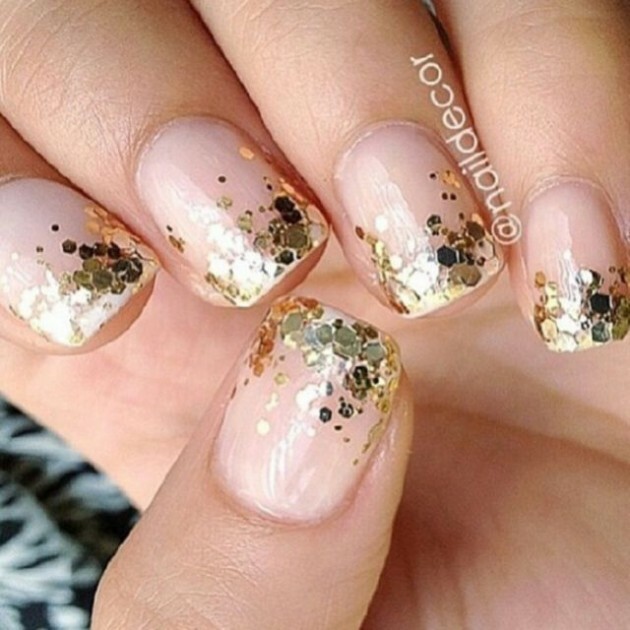 Scroll down to find the 17 Eye-Catching Nail Designs With Gold Glitter. Styles and trends keep changing all the time, but there are some that stay for the long run. 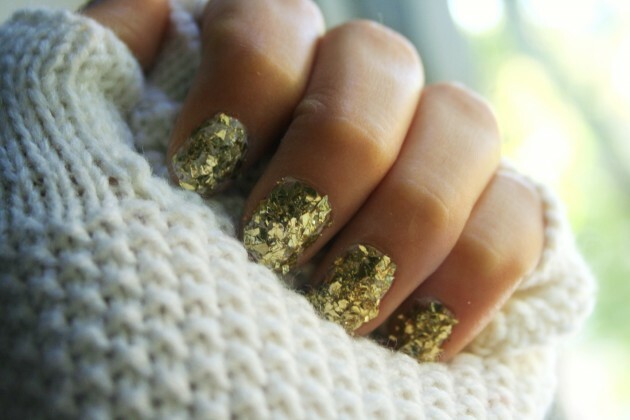 The gold glitter is one of those. 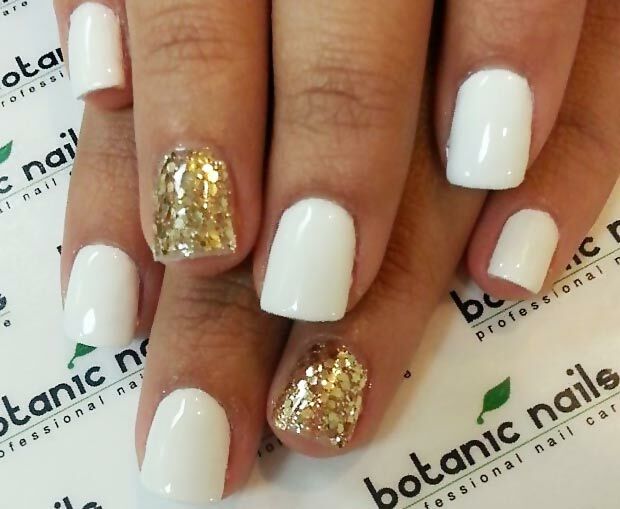 It will automatically attract the attention of the people around you. Get ready to see many compliments rolling in! 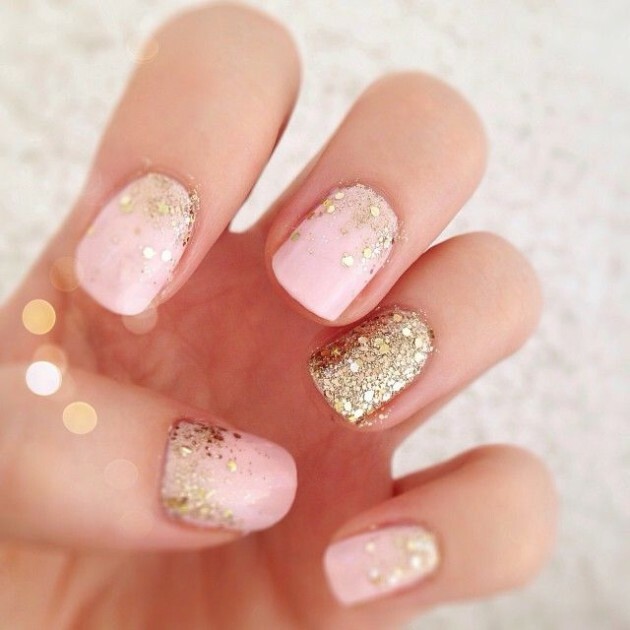 The gold glitter on your nails is a great choice, cause it matches almost everything and you won’t have to worry about combining your nail polish with your clothes nor with the season. 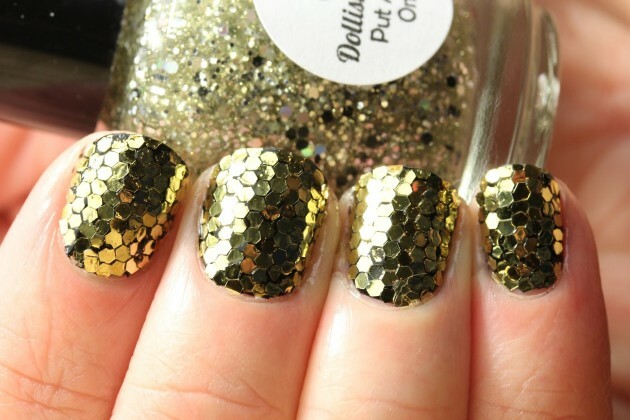 Plus, you can wear those gold glitters on top of another colors and make some pretty designs. 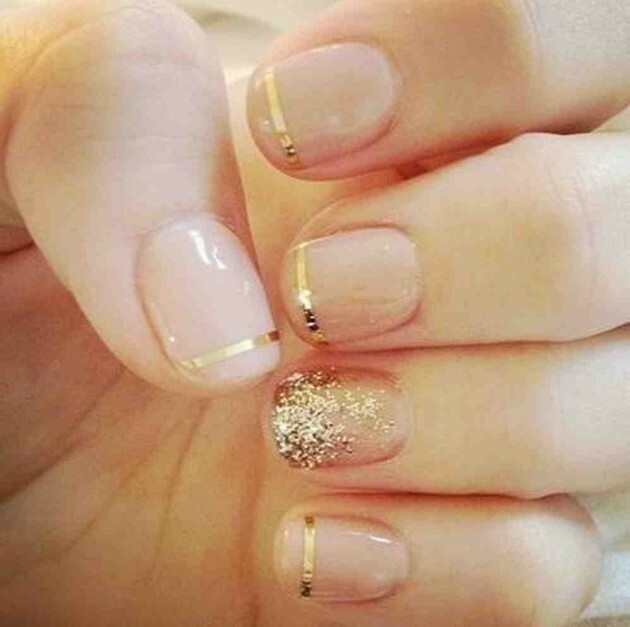 They have a unique feature to give a perfect finish to every manicure. 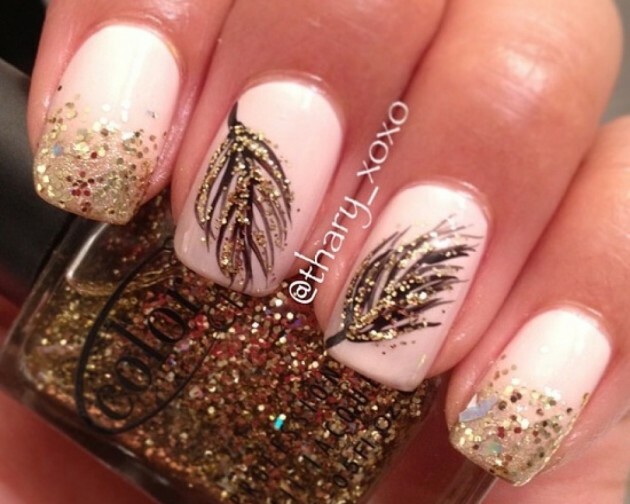 A little bit rebellious and very luxurious, the gold glitter is flashy in the best possible way. 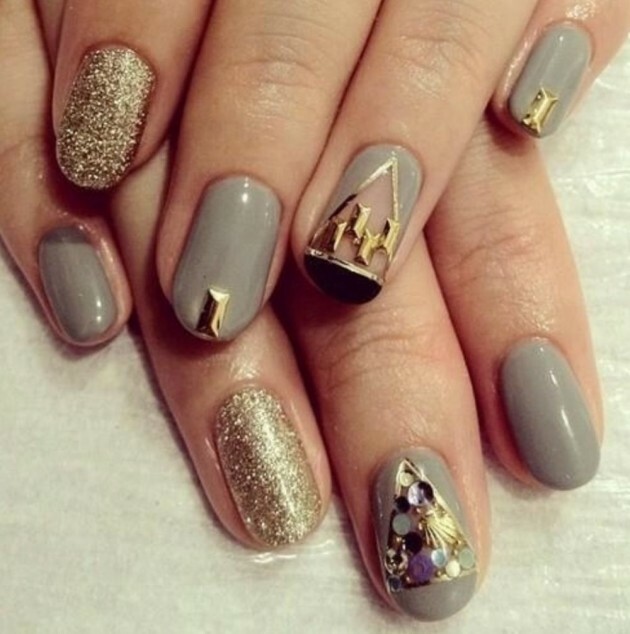 Take a look at our favorite designs and make your pick!